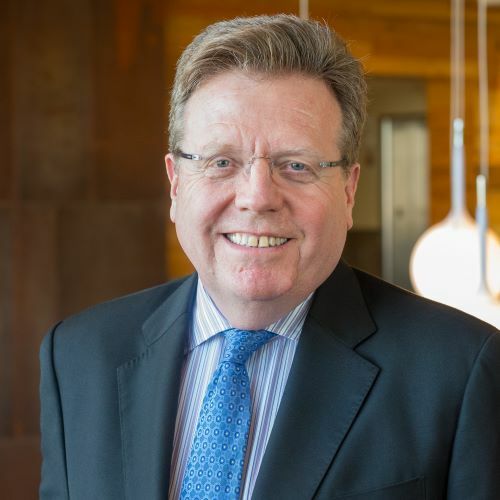 Matthew Tirrell is the founding Pritzker Director of the Institute for Molecular Engineering at the University of Chicago. Through March 2018, Tirrell simultaneously served as Deputy Laboratory Director for Science and Chief Research Officer at Argonne National Laboratory. Immediately prior to joining the University of Chicago in 2011, he was the Arnold and Barbara Silverman Professor and Chair of Bioengineering at the University of California, Berkeley, with additional appointments in chemical engineering and materials science & engineering, and as a Faculty Scientist at the Lawrence Berkeley National Laboratory. Professor Tirrell completed ten years as Dean of Engineering at the University of California, Santa Barbara on June 30, 2009. From 1977 to 1999, he was on the faculty of Chemical Engineering and Materials Science at the University of Minnesota, where he served as department head from 1995 to 1999. Tirrell received a B.S. in Chemical Engineering at Northwestern University in 1973 and a Ph.D. in 1977 in Polymer Science from the University of Massachusetts. He has co-authored more than 350 papers and one book and has supervised over 80 Ph.D. students. Professor Tirrell is a member of the National Academy of Engineering, the American Academy of Arts & Sciences and the Indian National Academy of Engineering, and is a Fellow of: the American Institute of Medical and Biological Engineers, the AAAS, and the APS. Professor Tirrell has extensive consulting and scientific advisory board experience in both the materials science and biotech/biomedical sectors.